Sweet sequin and beaded details sparkle in this gown. 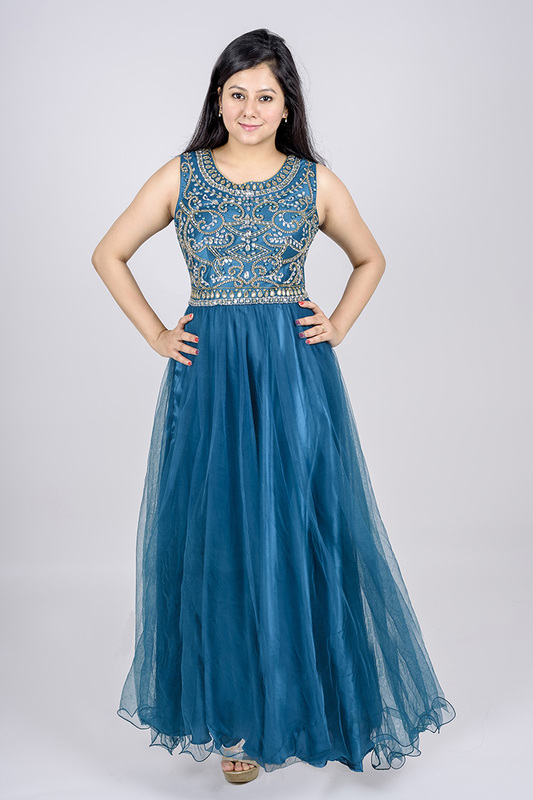 This dress features an embellished boat neckline, a sheer full sleeves bodice, and a flowing mesh overlay skirt designed in a superior quality fabric. 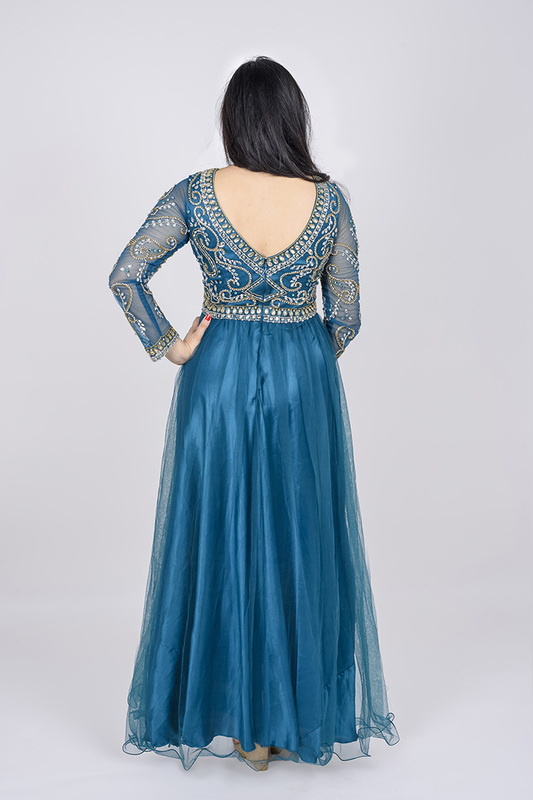 Perfect and elegant, is an easy choice for party occasions. A deep v-back and hidden zipper closure complete this beaded dress. The gown has a concealed zip.